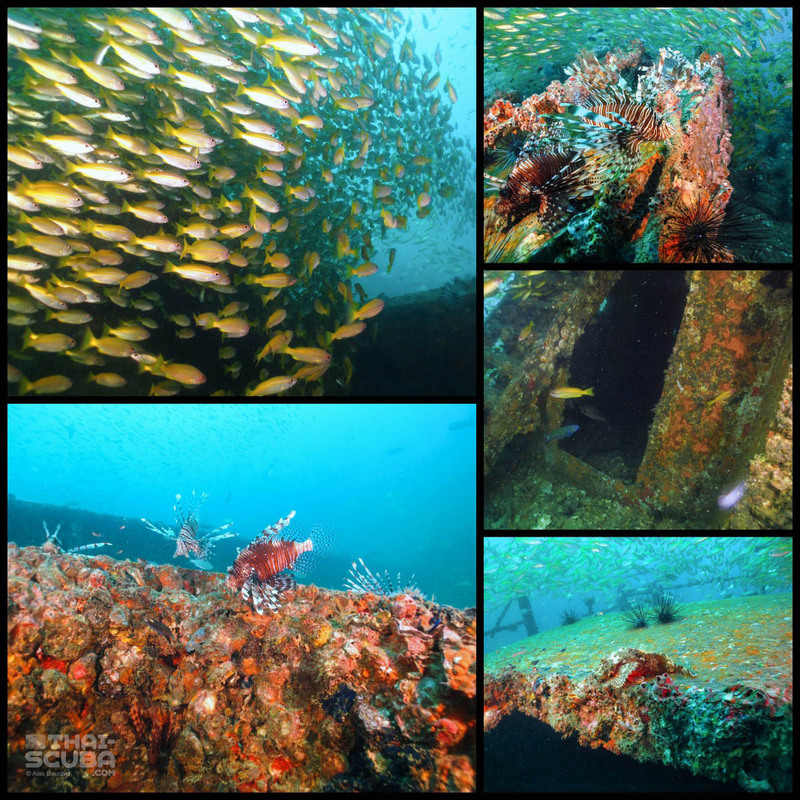 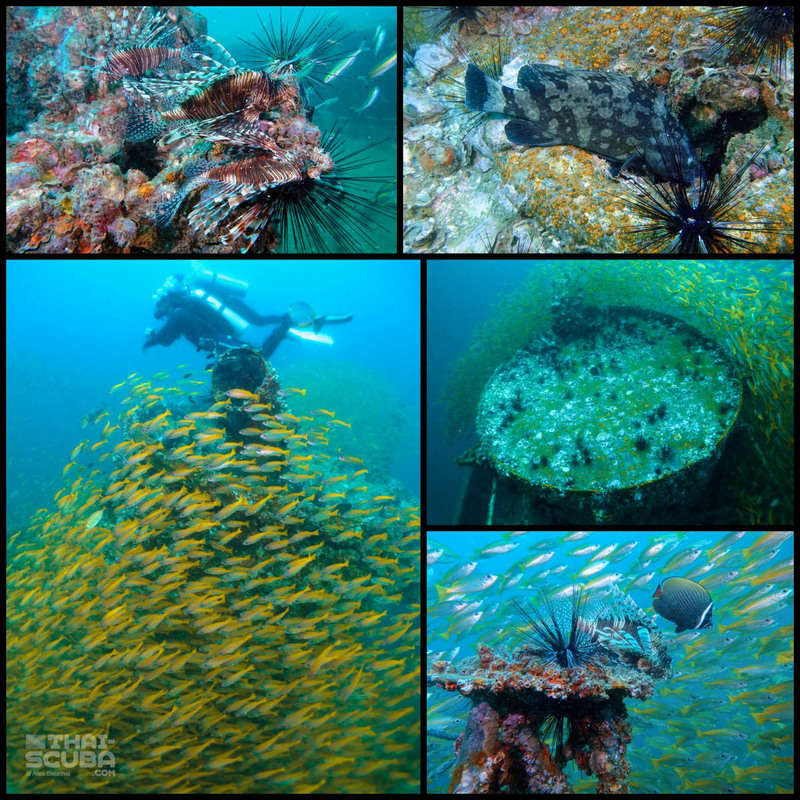 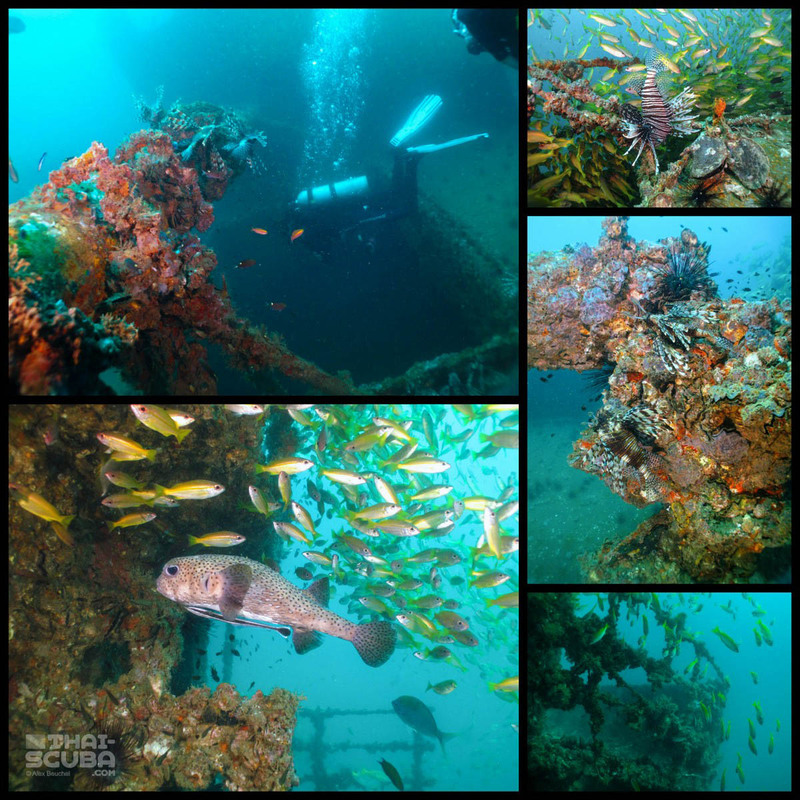 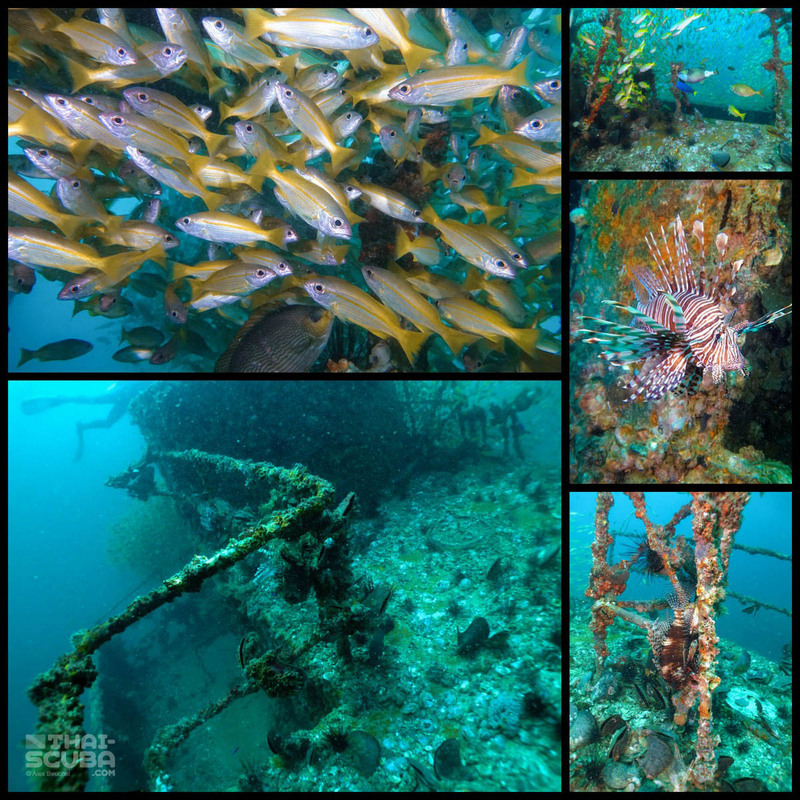 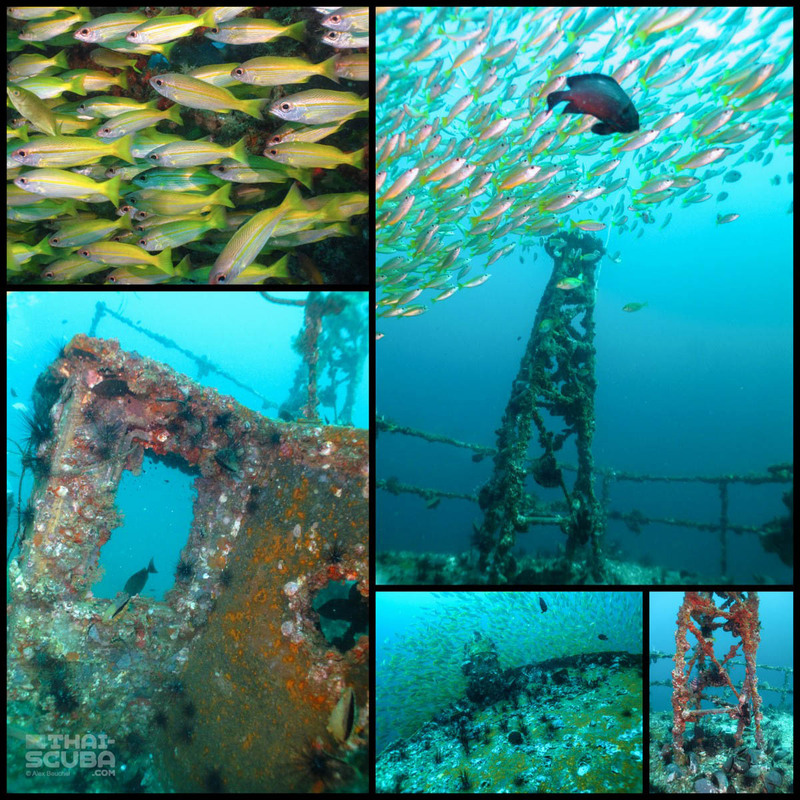 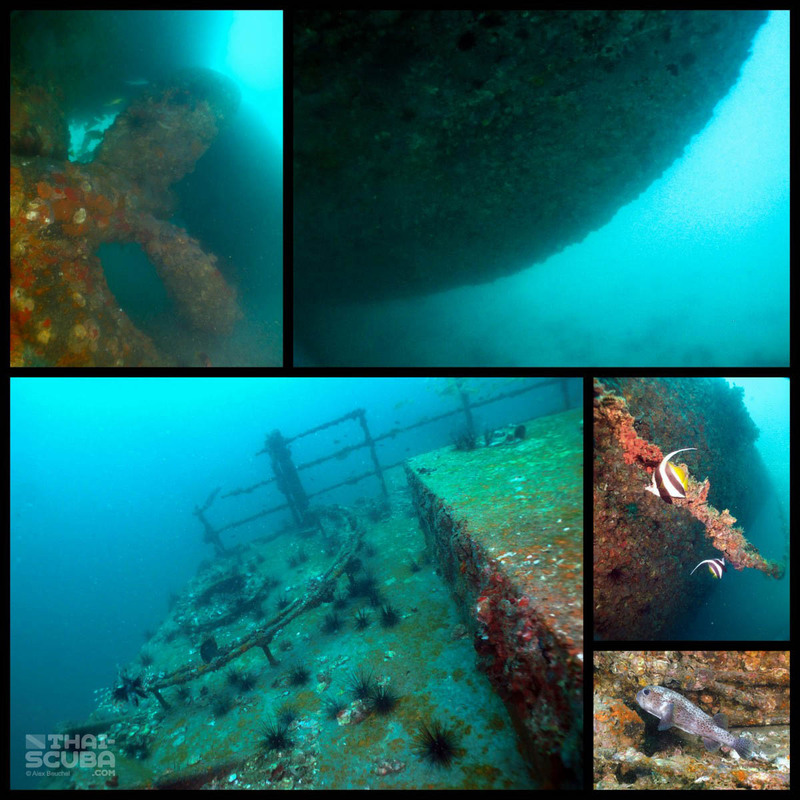 After the Kledkaeo’s sinking on 19.3.2014, she has quickly amassed a solid portfolio of marine life that call this wreck their home. 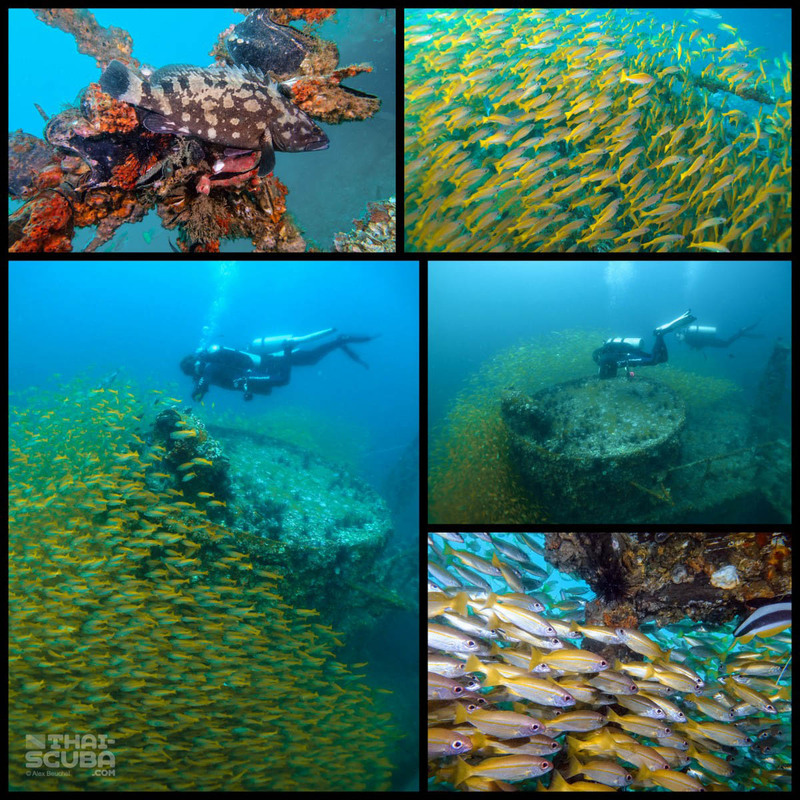 Enormous schools of yellow-finned Bigeye Snappers tirelessly roam the shape of the wreck in a dynamic pace. 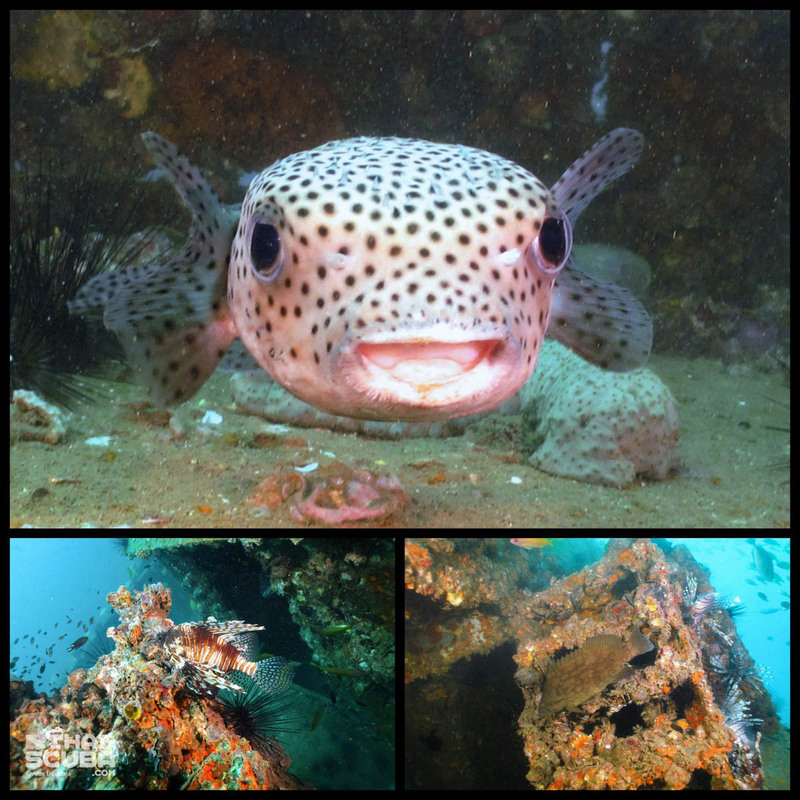 Porcupine fish can be found on each end, very unafraid of the presence of divers. 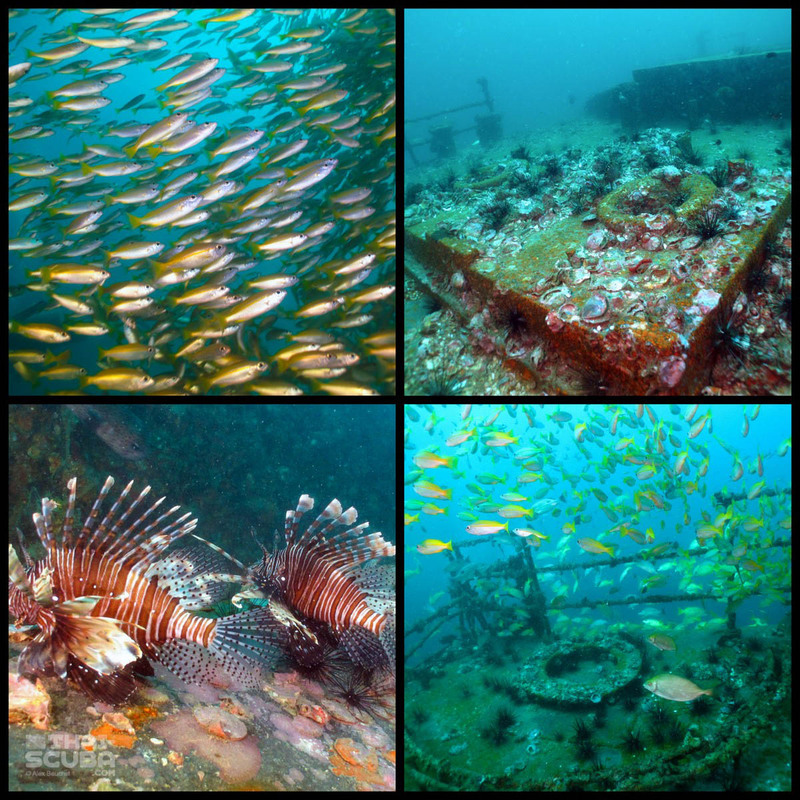 Lion fish hang out at every possible corner and sometimes seem to be having a party by the multitude they appear. 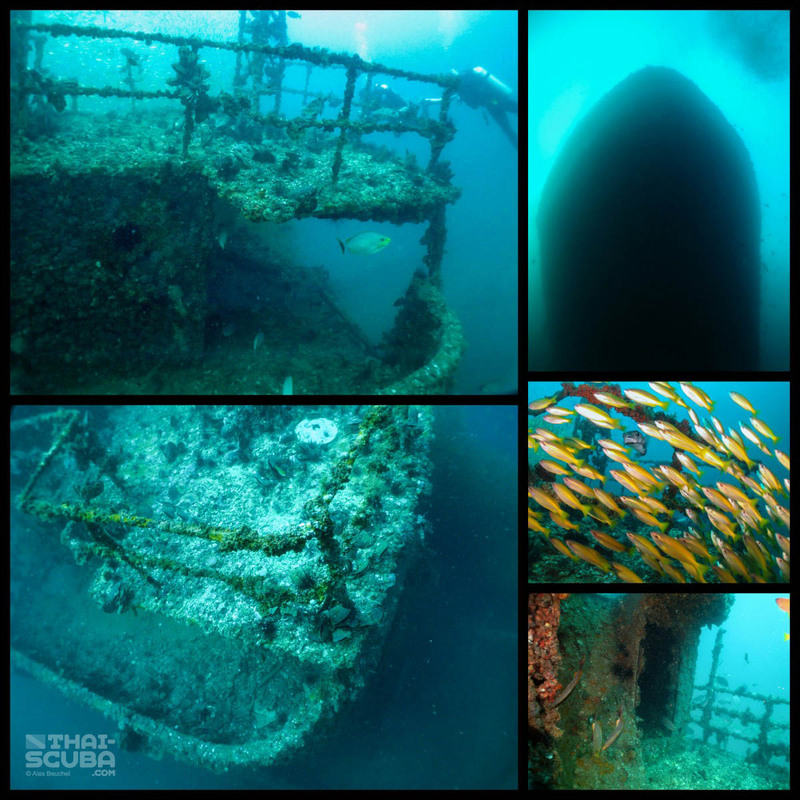 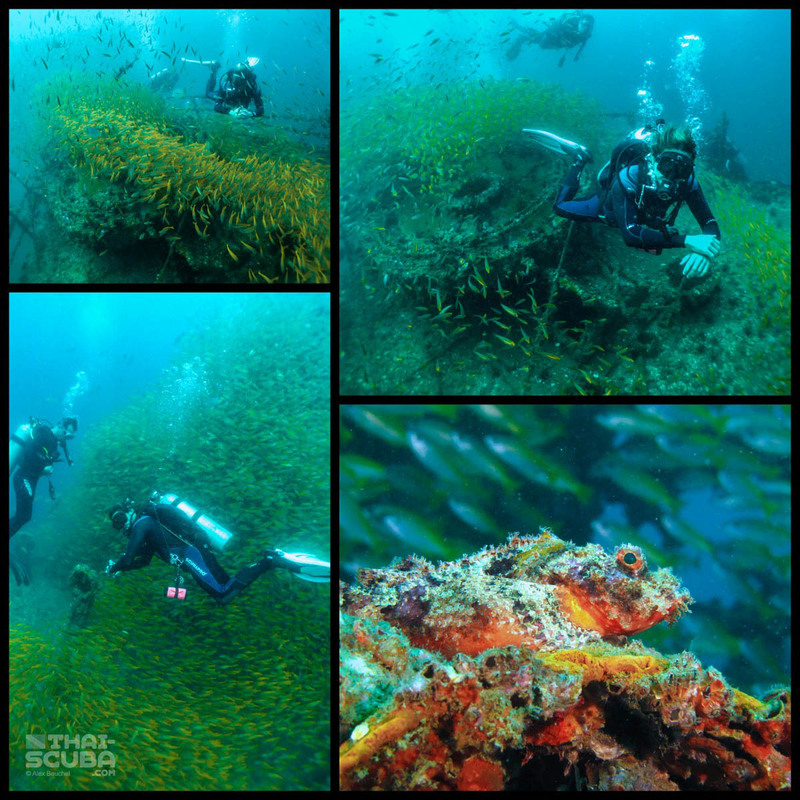 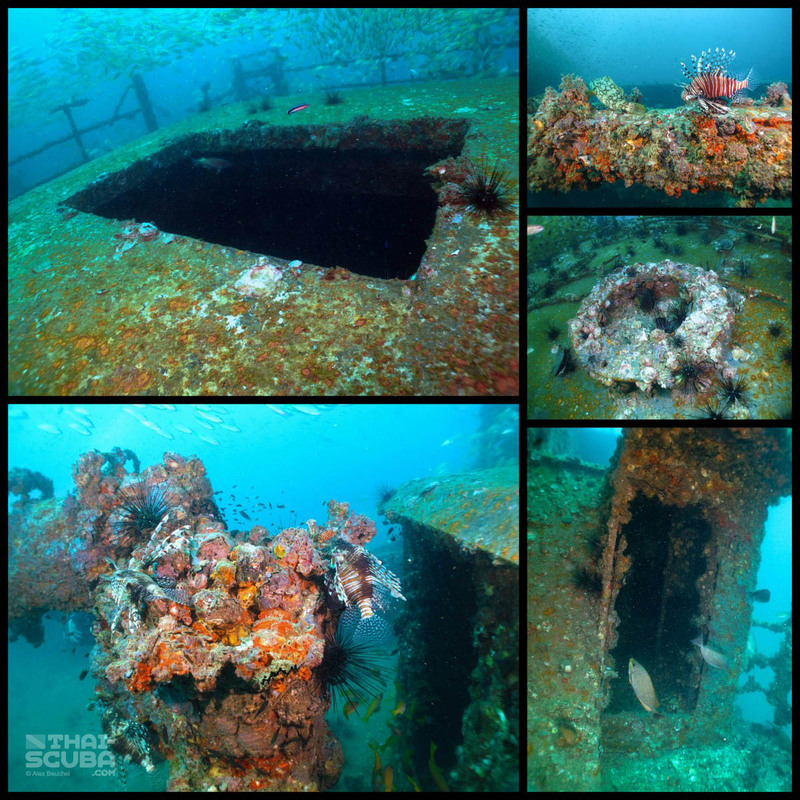 Following the quick growth of marine life, penetrations of the stern area of the wreck are no longer conducted by local dive operators, but whatever is visible just visiting her on the outside is more than enough to make the Kledkaeo a perfect and unforgettable wreck dive.